Enhanced truck driver safety in 66 days flat. On Noticeboard. 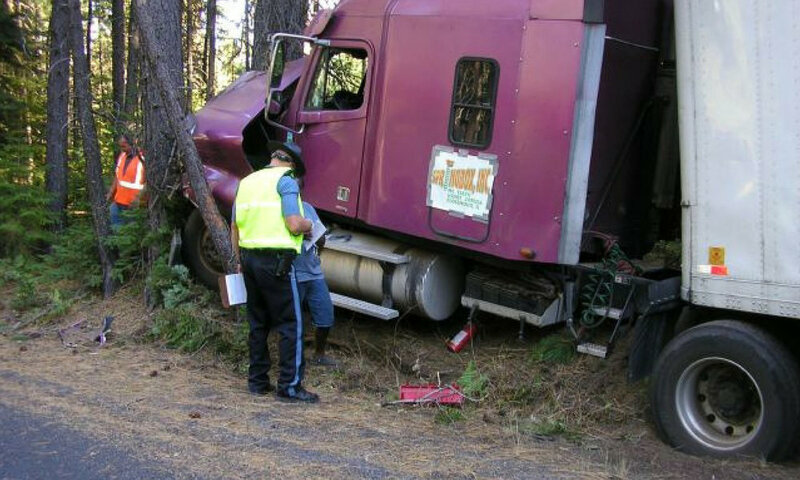 A report by ATA states the shortage of ‘qualified’ truck drivers in the US clearly. This leads to companies compulsively hiring drivers who may cause violations. In the first part of this article, we discuss ways in which you can prevent the top violations with simple interventions. In the second part, we reveal how to bring about this change in a matter of 66 days. Speeding is one of the most common violations amongst the truckers and can cost you up to 7 CSA points. The fear of delivering on time, detention, and overconfidence are just a few of the factors that affect this. Although, there are several ways through which you can ensure that speeding doesn’t remain a hurdle for a clean driving record. Prevention: One of the best ways to get people to do something, is by rewarding those who are already doing it. The trick is to praise in public and discipline in private. Some things you can do are: Send out a list of individuals in appreciation for their regard for the speed limits on a weekly basis. You can do it via emails, text messages, or as a simple post on Noticeboard. In this manner, you are not just spotlighting drivers who obey the laws, but also, indirectly, the ones who don’t. This is important because a competitive environment between fellow truckers nudges them to better performance. This is one of the most dangerous violations of all, for it can cause some serious injuries over the road, and needs to be dealt with on the go. Automate the process of information flow, every time there is a change in mandate. Train them their rights: Sometimes drivers are forced by the shippers/ carriers/ receivers to overload their trucks. As their employer, you need to keep reminding the truck drivers about this offense and inform them about their right to refuse. For this, impart this message creatively, so it sticks to their memory: Use graphics, comic strips, videos - mostly visual content formats for the same. What do you think is more effective? A sheet with the following information: Federally mandated maximum gross vehicle weight for The National System of Interstate and Defense Highways is 80,000 pounds. Or a cartoon where the driver is educating the customer: “No sir. The upper limit is 80,000 pounds and there’s no negotiation on that”. In case the driver gets bullied by a customer, he should be able to immediately alert his driver manager and extended team discreetly and resolve the issue. With constant feedback, this becomes a bullet-proof process against such violations. “Form and Manner” and “Log not current” violations are one of the most common violations at the roadside. The former costs 1 CSA point, but the latter can cost as much as 5 points. Passively, through a competitive quiz, where everyone can see how the other has performed and would be inspired to perform better. Prevention: Volunteering such information never makes for pleasant conversations with driver managers and drivers are loathe to make that phone call. However, having a pre-formatted list of such issues takes away the mental barrier of writing a message or calling the team and waiting to hear back from the team. A direct line of communication that simplifies paperwork and eliminates stress for truck drivers, is the goal. Costing you 4 CSA points, brake violations make up 1/4th of the total vehicle violations for truck drivers. Proper pre-trip and post-trip inspections are essential to get rid of the faulty brakes. Prevention: Making it certain that the drivers are proceeding on the road with proper pre-trip and post-trip inspections is a crucial element of this process. Have a checklist in place, and make it part of their everyday compliance. The inspection should be as simple as a physical workflow, without all the hassle of paperwork. Instruct them to snap pictures of the front, left, back and right-hand side of the truck. Along the way, also instruct them to take pictures of the belt-driven alternator, gauge, oil leaks and all of the other requisite parts. Have them submit this report every day.. for 66 days. Because, science says that's how long it takes for something to become a habit. Week 1: Understand your requirements, log current levels of safety infractions. Help you with internal communications. Week 2: Sensitize the team. Onboard them on to the platform. Start a drip campaign of sorts focused on specific violations. Week 3: Enable them to log progress on the platform. Week 4: Kickstart a competitive game between the drivers, and set an incentive for the same. By Week 4, the drivers would be fairly comfortable with the platform and would start viewing safety with a different lens. The next 4 weeks is when the real magic kicks in. To give you a sneak peak, the drivers consciously start thinking about safety. They start reaching out to the management more proactively to log their maintenance issues. On Week 5 onwards, the violations start to decline. When you compare safety standards between week 1 and Week 8, you would see a world of difference in the number of violations. To witness it yourself, sign up for a pilot here. Why did we mention all of the above? As Holmes would say, "It's elementary, Watson." When you are trying to set the right habits amongst their drivers, it makes sense that these habits are laid on the principles of making your life simpler and efficient. Afterall, you’re the one keeping the ship afloat, aren’t you? Simplify your tasks and theirs with automated pre-trip checklists, license expiry reminders, birthday wishes. Make training efficient for yourself - by outsourcing content creation to Noticeboard, and make it efficient for drivers - by holding regular quizzes, and communicating outcomes. Try Noticeboard today to steal back the time that’s rightfully yours.